There are lots of lists offering advice to students on what they should look for when choosing a college: majors and degree programs, financial aid options, location, class size and job placement rates, for example. Topping the lists less often are wellness programs. And yet, two of the biggest challenges students face — stress and lack of sleep — are critical components to wellness. Managing those issues, and others, can take support. At UNH, the whole-body, whole-student is viewed as a critical component of learning. “Stress management and sleep are so closely intertwined. 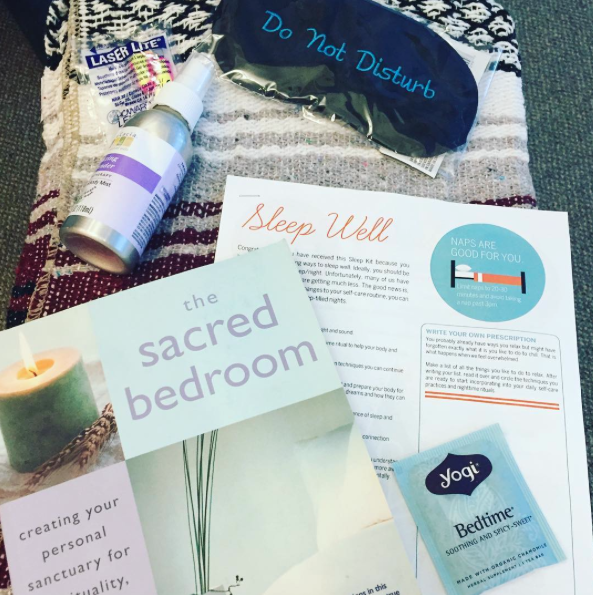 We want students to know how to address these and any other wellness concerns they may have,” says Kathleen Grace-Bishop, director of education and promotion at UNH Health Services. The goal is to help students develop self-care techniques and coping mechanisms to address issues that could cause problems, Grace-Bishop says, noting that UNH offers a range of self-care strategies, from wellness coaching and counseling to power napping at the new Health Services location in the Hamel Recreation Center (HRC). And while some students might use the new space to grab a catnap between classes, the “nap” room is actually a meditation room, with blankets and mats on the floor, allowing students the chance to recharge and reconnect with themselves during the day. 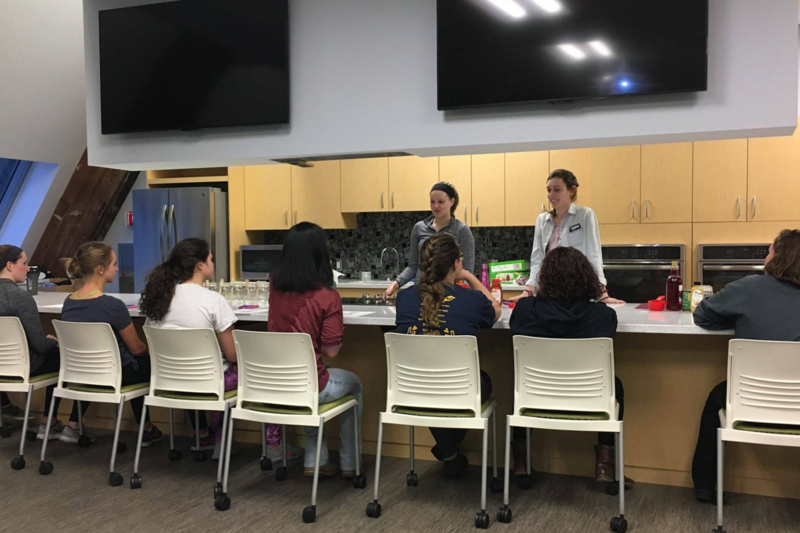 A demonstration kitchen allows for weekly cooking classes where students learn how to prepare healthy, economical meals. “Classes have been filling up every week,” Zitney says. Health Services at the HRC offers many of the same services students can get at the Pettee Brook Lane location, including education and counseling services, massage and wellness workshops. In the future, students will be able to seek clinical services with a nurse or nurse or nurse practitioner there. For more information about any of these wellness options, visit Health Services.